Can you do anything fun with one? I'm not too much into 8-bit stuff (aside from C64/MSX/etc. late-era) but I thought it might be interesting to play around with. I saw some games on Youtube but they look kinda Atari VCS-ish... Any decent music on this machine? Demos? How hard is it to get software/data on & off of, can I hook an MP3 player up to the tape drive port? Are the peripherals/accessories unobtainable? Last edited by xjas on Fri Dec 12, 2014 7:42 pm, edited 1 time in total. xjas wrote: Any decent music on this machine? Demos? Maybe this forum post will be helpful? xjas wrote: How hard is it to get software/data on & off of, can I hook an MP3 player up to the tape drive port? Unless there is one already available, you could always make your own cartridge using a large EPROM and programmer and implement some sort of bank switching with switches to switch between demos/games. I don't know if that helped at all. And how was your move? The TI99/4a actually uses a 16-bit processor, the TMS9900. Supposedly the first 16-bit personal computer. I've never used one, but wrote some embedded assembler programs for the TMS9940 single-chip computer back in the mid to late 1970s, using a TI development system with cassette tape memory and no screen. Just a keyboard, thermal printer, and line editor. I've got one of these. I haven't done too much with it apart from fix it and play some of the games. A cheap home computer really, but a nostalgic favourite for some. A slow and limited implementation of BASIC. Thanks for the info! I'm probably not gonna bite on this one as I don't like the sound chip much (vital for me) and I just bought a CDTV in the other thread, but looks like an interesting machine nonetheless. Maybe if it's still there in a while. 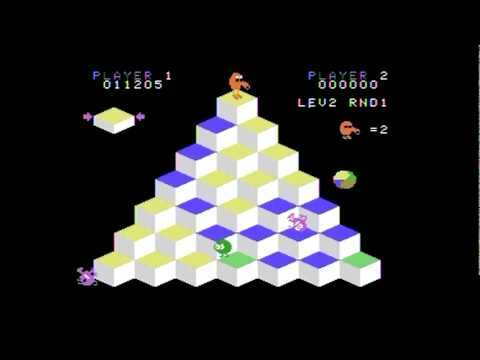 Terry I'm *sure* I've seen the mountain climbing game in your vid (or a variant of it) on C64 or maybe Vic 20, called simply 'Everest' or something like that. I think Jawbreaker is on C64 as well. xjas wrote: Terry I'm *sure* I've seen the mountain climbing game in your vid (or a variant of it) on C64 or maybe Vic 20, called simply 'Everest' or something like that. I think Jawbreaker is on C64 as well. Really? I'm not surprised. Many games seemed to be ported to all common platforms those days. I should really stop saying things like that because I will *inevitably* go and make myself wrong. So I went back to that shop today to look for some speakers (and of all things, a beard trimmer.) While I was there I pulled the TI out of its cobwebs off the shelf behind some old hi-fi gear (did I mention it had been there at least since the last time I was in town, in March?) for a better look. The owner of the shop spotted me checking it out and came over and started playing the 'well, what's it worth to you?...' game, obviously hoping to clear out some VERY slow moving inventory. Long story short, he offered me about a 60% discount on the already-marked-way-down sticker of $69. How could I say no? And of course, it works perfectly - actually has some of the best image quality I've seen out of an RF modulator! ^^ I bet whoever hired him to endorse the hell out of this thing regrets it now. In hindsight, Shatner or John Cleese were *way* better choices. ^^ If any of this stuff hasn't been released 'into the wild' yet, I can scan it and make a nice hi-res pdf. Let me know if needed. ...and the original TI power brick & cable for the tape deck, which are far too boring to show here but rest assured are in excellent shape. So that's how I spent thirty bucks this afternoon. I think I did okay! Did I mention the pawn shop/op shop/online second-hand selection in this town is goddamn amazing? Compared to Auckland it's like moving from the desert to the rainforest. I guess I went a little mental today, but I just got some funding confirmed for my upcoming grad school project, so I feel I can get a little splurgy. One of my goals for 2015 is to *get more creative stuff done* (art, music, etc.) so of course I've gotta start that off by buying stuff. All in good fun! Incidentally, no, I never did find my beard trimmer. So I still look a little like a homeless person. I'll deal with it for now. Last edited by xjas on Fri Dec 12, 2014 7:44 pm, edited 1 time in total. After looking around I'm pretty sure I was thinking of Final Assault for C64 (, etc.) which has a similar climbing mechanic among other game elements. The TI really seems like a generation earlier, much more VIC20-ish. C64 games & apps are generally a lot more fleshed out. What a great score. Enjoyed the pictures! Ahhhhhggghhh, did someone actually mention the ti99/4a in the same breath as the VIC20??????? Now, lets have no more of this silly VIC20 talk!!!!! am1933 wrote: Ahhhhhggghhh, did someone actually mention the ti99/4a in the same breath as the VIC20??????? Haha, but which one's worse? The TI has 256 BYTES of general-purpose RAM in its stock form (but 16k of VRAM - which is incredibly slow to write to as there's nothing like DMA), the most limited & ridiculously slow Basic I've ever seen, no bass on the sound chip (there's a mod for this ) and an ugly palette. That said... 3 MHz 16-bit CPU and a LOT of expansion options including various brand new hardware being produced. Plus some excellent quality software as shown above and a small but extremely active dev community (some of those games were released *last year*.) They both have their charm but I do think the TI is a better system. Carts for this system were all completely different shapes depending on who made them. Makes searching pawn shops for them fun. I was trying to use this adorable tiny mp3 player as my 'cassette deck' but I haven't gotten it to work no matter what I do. Loading always gives me a 'no data found' error after a few seconds. I think a small amp circuit to boost the output level might help? Anyone had any luck with something like this? I have some bare cartridge PCBs and EPROMS on order too, will update the thread when they get here. Honestly, I'm thinking of selling the CDTV and keeping this thing. I only need one vintage machine to sink money into and the TI just seems more hack-able & fun, and VASTLY cheaper to play around with. Just a shame that TI made assembler access so expensive, some of the homebrew games that are around now are light years ahead of most of the official TI releases. I don't actually have a nanopeb yet, I may take the plunge soon but I don't really feel as if I am missing that much at the moment.